NE OF THE FREEDOMS in working at events is the chance to make caricature silhouettes. These ridiculous cuttings, with their large heads and tiny bodies, poke fun at the guests but have never been known to offend. They work well at student balls, christmas parties and any event where guests are determined to have a good time. 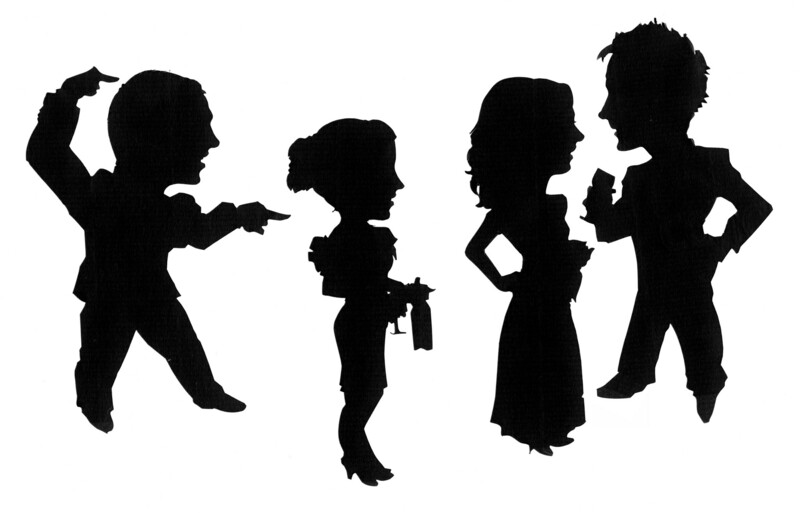 Silhouette caricatures seem to involve everybody. 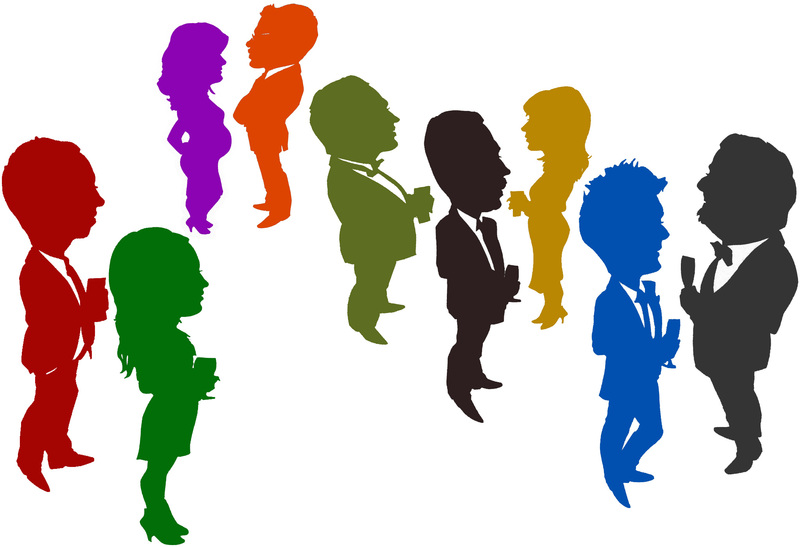 Silhouette caricatures consist of a full-length body with an over-exaggerated head. Guests enjoy challenging the artist by striking hard-to-cut poses. Each cutting only takes a couple of minutes, although this can seem a long time if the pose is also hard to hold! Deciding how to pose is an interactive experience for both artist and guest. During the writing of his book Mastering Silhouettes, Charles Burns experimented with a wide range of silhouettes styles, one of which was caricature. He felt no need to be constrained by tradition. These unique caricatures have gone on to become an important part of the way he works. 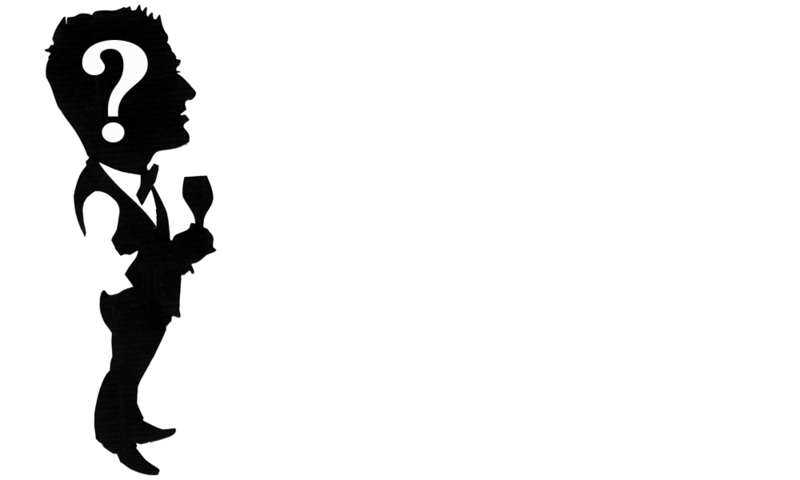 If you are booking Charles Burns to attend a drinks reception you can ask him to cut silhouette caricatures. They don’t take much longer than traditional silhouettes. Even if you don’t ask, he may cut one or two like this anyway, just because they are so much fun. While breaking with tradition, why stop at caricature? Ask the artist to bring coloured paper and each guest will be cut in a different colour. There won’t be much logic to who gets which colour though! In his short but brilliant career as a graphic artist AUBREY BEARDSLEY seems to have made just one portrait silhouette. This self-portrait, possibly painted in a capricious moment, has been widely reproduced since.